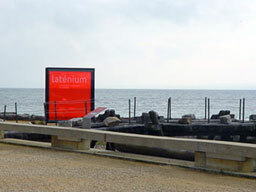 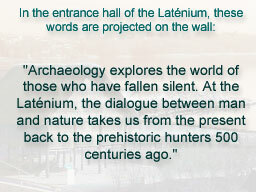 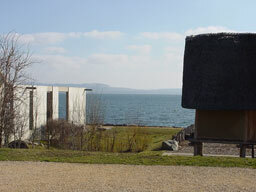 The Latènium has been built so that a visitor is aware of many realities at the same time: the "real" Lake Neuchâtel, the lake at the level it was many centuries ago, and the "dry" lake bed, showing the poles which supported the Bronze Age houses.. 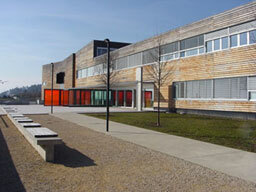 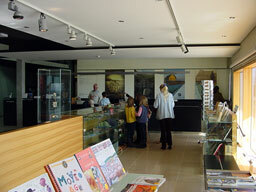 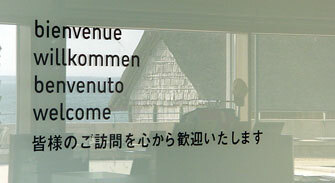 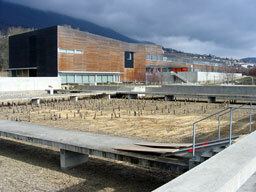 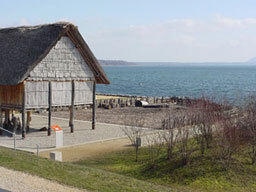 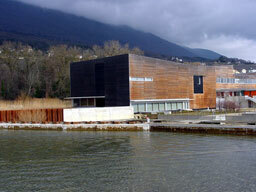 This reconstruction of a Bronze Age house sits between the museum and the lake. 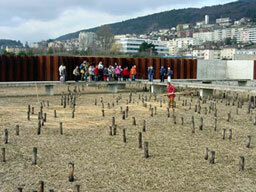 The class visited with a workman in the "dry lakebed"